Question: What is the cost of your services? Answer: In our service areas our rates are the most affordable. Hourly rates vary based on the level of service provided and caregiver qualifications that meet your specific needs. We believe that 'flat rates' do not work for everyone. Some of our clients simply need a little help on occasion, while others require full time companionship while convalescing. Please call us first! We will determine the best rate for your particular needs. We also offer a free in-home consultation to discuss our services and rates. Question: Wouldn’t it be better to find a caregiver on my own? Answer: We offer our caregivers long-term, stable employment without the hassles of constantly seeking work opportunities. 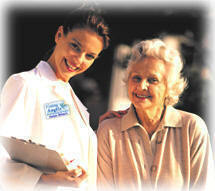 We offer you the benefits of screened and qualified caregivers backed by our agency. Additionally, Visiting Angels handles any unexpected caregiver problems that may arise. You never have to deal with the burden of finding substitutes or scheduling conflicts. Importantly; Visiting Angels takes care of each caregiver's payroll taxes, tax reports, background checks, retirement plan opportunities, worker’s compensation insurance, etc. These details can be overwhelming if you are considering finding and hiring a caregiver on you own. Question: What if we’re not happy with a caregiver? Answer: Just call us. We will provide a new caregiver. Agencies can charge a fee for such changes. . . We do not. 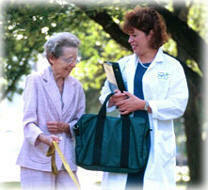 We monitor our caregiver/client relationships. In most cases we would detect potential conflicts and resolve them before your call. Question: Do you provide other services such as outdoor maintenance? Answer: We can provide just about any non-medical service. If we do not directly provide a service you desire, we’ll help you to find someone who does. Question: Who selects the caregiver for my parent? Answer: You do. We initially visit you at home to determine your needs. 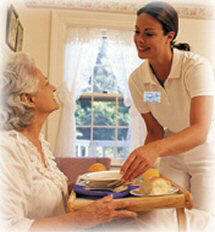 On our return visit you interview and select a caregiver. Once the caregiver is placed in your home, we stay in close contact. We then continually monitor relationships by making weekly telephone contact and periodic home visits as needed. Question: Are you licensed by The State of Texas? Question: How diverse is Visiting Angels? How can I find out more? At our franchise covering Northeast Houston, Katy and Montgomery County, Texas, our pledge is to follow the guidelines of Living Assistance Services to provide you with the very best; caring, affordable, non-medical, in-home care to persons, particularly the elderly, who wish for an alternative to nursing homes or assisted living facilities.